6th Documentary and Short Film Festival of Kerala , a unique venture in India is being organized by the Kerala State Chalachitra Academy for the Dept of Cultural Affairs, Govt of Kerala as part of its endeavor to catalyse a vibrant documentary and short film movement. The Festival will be held in the capital city Kerala ,Thiruvananthapuram from the 7th – 11th June 2013 . There will also be specially curated sections focusing on issues, themes, countries and the works of filmmakers. The programme will also include Interaction/Workshop Sections with Media and Professionals from all over India. Date-7th – 11th June 2013 . There will be a National Level competition for long documentaries, short documentaries, Animation and short fiction films produced in India between 1st May 2012 and 30th April 2013. Only films produced or co-produced in India are eligible for the National level competition. All films participating in the competition which are not certified by the Central Board of Certification, India have to give an affadvit that the film has been completed between 1st May 2012 and 30th April 2013. (both days inclusive). Best Long Documentary (40mins and above) with a cash prize of Rs 1.00 lakhs and a certificate. Best Short Documentary (under 40mins) with a cash prize of Rs. 50,000/ and a certificate. Best Short Fiction (upto 69 mins) with a cash prize of Rs. 50,000/ and a certificate. Best Animation with a cash prize of Rs. 25,000/ and a certificate. Best Music Video with a cash prize of Rs. 25,000/ and a certificate. There will be a competition for short fiction films for bonafide students studying within Kerala .The films will have to be 20min or under in duration. The director of the film has to be above 18years at the time of production. Best Campus Film (20min and below) with a cash prize of Rs. 20,000/ and a certificate to the creative team. 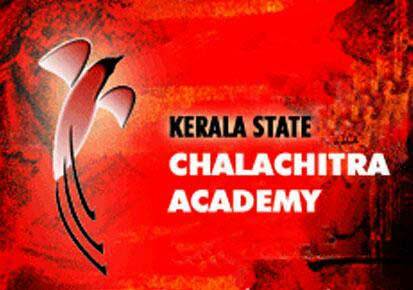 The Kerala State Chalachitra Academy will appoint the Selection committees consisting of eminent persons including filmmakers and others from different fields. A selection committee appointed by the Kerala State Chalachitra Academy will select films for the screening in the competition and non competitive sections.Films must be available for festival screening on one of the following formats: DV, DCP, Digi Beta, 35mm, Hard disk.